Grand Master Shigeru Oyama 10th dan spend several days in Poland at the special invitation of the OYAMA Polish Karate Federation. Within the framework of the 13th International Qualification and Training Seminary, Soshu led unforgettable trainings for children. Gathered in large number parents and invited guests spontaneously expressed their recognition for the trainings. 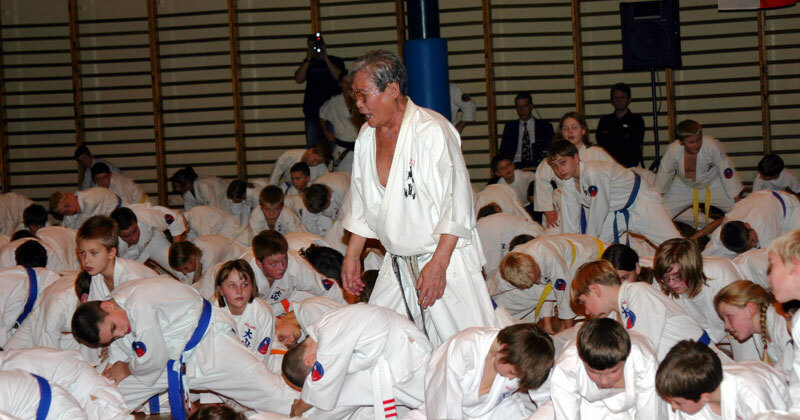 As every year, there were bouquets, friendly handshakes, group photos with legendary Master Soshu led two trainings for instructors and advanced students from Poland, Russia, Belarus, Ukraine, Estonia, the USA and Germany. Trainings were devoted to teaching: Sai-kata and Koryo-Gojushiho. On the same day, Shihan Jan Dyduch 7th led the meeting of country and branch representatives of the OYAMA IKF. 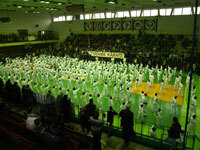 Shihan discussed with them conditions of the international training and sports co-operation in 2008. 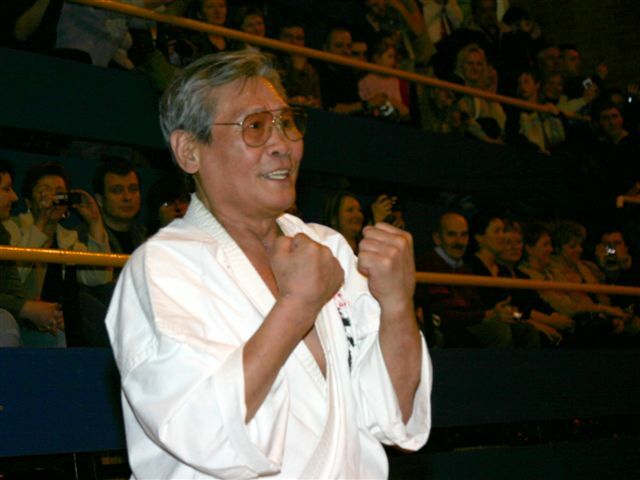 On the third of the Seminary, in the TOMEX sports hall in Nowa Huta- Krakow, there was the black belt examination which consisted of two parts. Exam lasted for 5 hours. Technical part included presentations of all techniques, combinations, kihon-kata, kata and schemas with weapons: Bo, Tonfa and Sai. 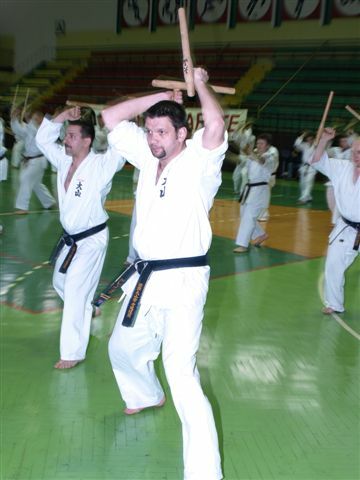 During the practical part of the exam all participants, and especially the black belt candidates, had to endure stiff fights with demanding partners. The fights forced candidates to the highest level of effort and made them overcome their weaknesses and limitations. Grand Master positively assessed the high level presented by candidates and promoted 72 students to the different black belt degrees. Below there is a list of those who passed the examination. 7 candidates will take the re-sit exam in Krakow in June 2008. At the end of the seminary, Soshu Oyama gave some interviews to media representatives, he especially mentioned the recent great international successes of Polish fighters. 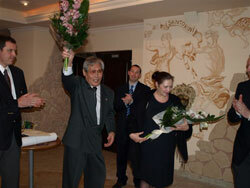 In the evening, in the restaurant "Santorini" there was Sayonara, formal party for about 160 participants. 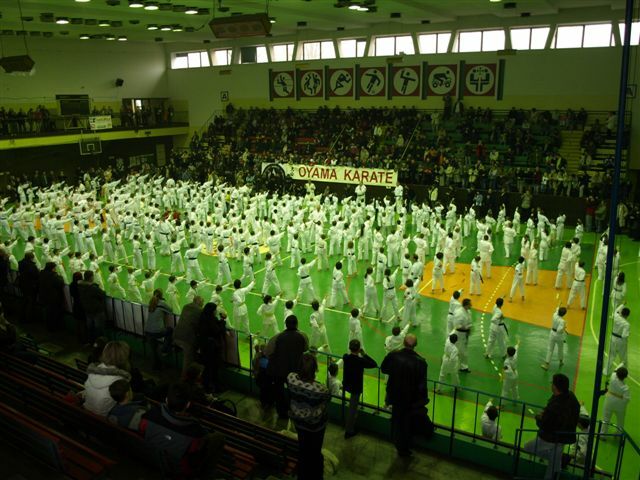 They were all participants of the exam, their relatives, the representatives of Oyama Karate centres and numerous guests from Poland and from abroad. 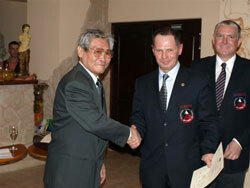 During the official part, Shihan Jan Dyduch sincerely thanked Grand Master and his wife for their visit to Poland. Mr and Mrs Oyama received beautiful bouquets and gifts. Accompaying them sensei Kit Rosenstein received embroidered shirt to celebrate 15th anniversary of Oyama Karate in Poland. Grand Master handed in champions' certificates and black belts to Sensei: Jacek Kasperski 3rd dan (Wadowice), Marek Zwierzyński 1st dan (Warsaw), Sebastian Wacławski 1st dan (Wadowice), Jacek Zalewski 1st dan (Wysoka) and Shamil Guseynov 1st dan (Narva, Estonia). Sensei Igor Gubaydulin 3rd (Saint Petersburg) received the Cerificate of the Country Representative of the Oyama IKF in Russia. Farewell party was a great opportunity to take commemorative photos with Soshu, exchange gifts and lead interesting conversations. Grand Master stayed in the Hotel "Santorini". He met there with a warm welcome and he appreciated the great cooking. During their free time, guests from the USA went sightseeing. They visited the monuments of Krakow and the Salt Mine in Wieliczka. for their active participation and fruitful co-operation. Congratulations to those who gained black belt degrees.